My name? It is nothing. My age? It means less. And the land that I live in has God on its side. The cavalries charged, the Indians fell. The cavalries charged, the Indians died. Oh, the country was young with God on its side. With guns on their hands and God on their side. The First World War, boys, it came and it went. For you don't count the dead when God's on your side. We forgave the Germans, and then we were friends. I've learned to hate Russians all through my whole life. But now we got weapons of the chemical dust. If fire them we're forced to, then fire them we must. And you never ask questions when God's on your side. That Jesus Christ was betrayed by a kiss. So now, as I'm leaving, I'm weary as hell. The confusion I'm feeling, ain't no tongue can tell. So sang a young Bob Dylan in 1963. Five years later, 24-year-old Tim Rice and 20-year-old Andrew Lloyd Webber were celebrating the success of their school cantata Joseph and the Amazing Technicolor Dreamcoat. What would they do next? The question Dylan had posed in his eighth verse  did the vilified Judas Iscariot also have God on his side?  inspired Rice to suggest telling the story of Holy Week from Judas's point of view. 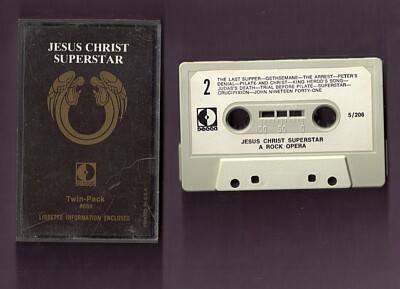 The resulting musical was Jesus Christ Superstar. It will be televised in a live concert version on NBC this Sunday. I recall listening over and over to my cassette of the October 1970 concept album (right). Others may have attended Pittsburgh's Civic Arena in July 1971 to see the first American staging of the rock opera. I bought the 1973 sheet-music book, and I played I Only Want to Say (Gethsemane) on the piano for the offertory at church one Sunday. Somewhat surprisingly, the story ends on Good Friday. 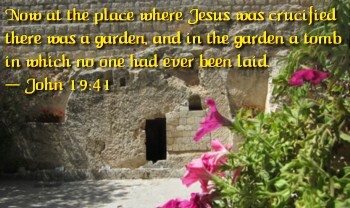 After Jesus is executed, the music closes with a funereal orchestral meditation reprising Gethsemane. This time it's called John Nineteen Forty-One, a reference to the tomb. And the Bible's oldest gospel, Mark, also ends before Jesus reappears! Most Christians are unaware that the original manuscript concluded with Mark 16:8. Our Bibles today include a dozen more verses after that, because various other ancient authors remedied Mark's apparent oversight by appending anecdotes about the risen Jesus making curtain calls on Earth before retiring to Heaven. There are other discrepancies among the stories. For example, the Jesus depicted in Mark's gospel comes out somewhat differently in Luke's. Jesus often becomes angry in Mark, but when we read Luke, that wrath is suppressed. In places he curses a fig tree and whips moneychangers out of the Temple, but elsewhere he claims to stand at the door and knock, gently. Many timid Christians understandably prefer to picture a loving personal savior, rather than an angry God raging from on high. They'd like their Lord to be kind, not vindictive. But has the Gospel of Luke led them astray? I've imagined Mark writing a letter arguing against revisionism. It's called Mark vs Luke. Italian wedding soup is quite popular in this area. How did it get its name? It's served at Italian weddings. It's a marriage of meat and vegetables. The Italians call it minestra maritata. Hint: Whenever you don't know the answer to a multiple-choice question, the mostly likely option is B. Okay, I'll say B then. Correct! Around here, the meat is little meatballs, and the veggies include slightly bitter greens like escarole or spinach. And of course there's pasta. Speaking of bitter greens, the menu for the Jewish Seder specifies bitter herbs to symbolize the harsh slavery the Hebrews endured in Egypt. Which bitter herbs are usually used for Passover nowadays? Huh? Are you implying that the answer is again B? Neither romaine nor horseradish seems bitter to me. Yet there they are, on the right. Hot merely refers to a sensation of pain. It's not among the five officially defined basic tastes, which are bitter, salty, sour, sweet, and umami or savory. We learn something every day. For example, I read yesterday that Pitt has named a new head basketball coach by the name of Jeff Capel. He's been Duke's associate head coach under Mike Krzyzewski since 2011 and is considered a great recruiter. But I wondered how to pronounce his name. Like Chapel? Like Chappelle? I learned today that Capel has the stress on a long A, like Capable. Seems appropriate. 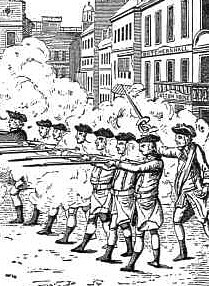 On TV, I've been watching the HBO series John Adams, which begins with Adams' defense in court of the Redcoats involved in the 1770 Boston Massacre. 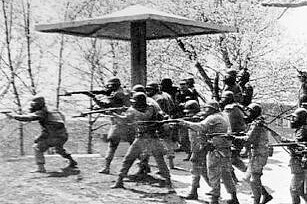 I also recently saw a documentary about the 1970 shootings at Kent State University. What I hadn't noticed until now was the strong similarity between these two events that occurred almost exactly two centuries apart. In each case, soldiers confronted by a mob fired their weapons, and the gunshots hit about a dozen civilians. Five died on March 5, 1770. Four died on May 4, 1970. In each case, the crowd had been enraged by recent government actions. 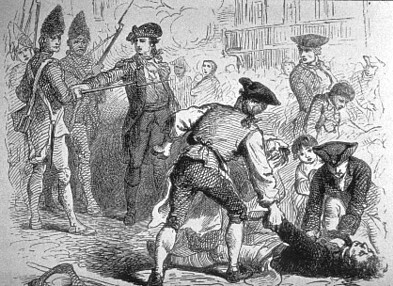 In 1770, the British government had levied taxes on American colonists, commandeered their homes to quarter troops, and otherwise oppressed the citizenry. Boston residents were especially angry. 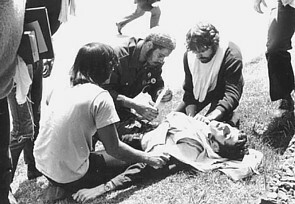 In 1970, the United States government had escalated the already-unpopular Vietnam war by sending troops into Cambodia. Kent State students were especially angry. In each case, the irate citizens protested to the point of destroying government property. The authorities tried to maintain order by bringing in soldiers, but the crowd outnumbered them, taunted them, threw things at them. Tensions mounted. The soldiers, feeling threatened and nervous, finally fired on the civilians. It's still disputed whether anyone actually gave an order to open fire. I've been to both locations. In Boston, a historical marker is set into the pavement of what is now, rather incongruously, a traffic island in the middle of a busy street outside the Old State House. 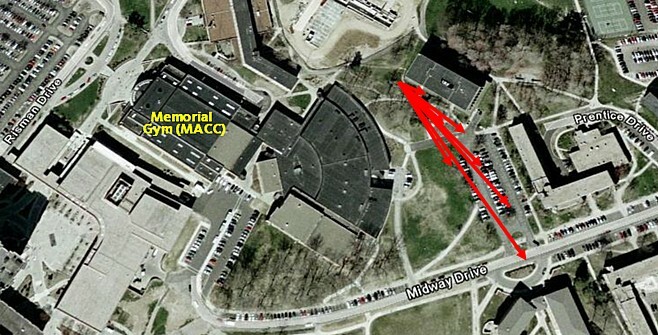 In Kent, the shootings took place behind the gymnasium where I've since televised basketball. Each tragedy stirred much resentment, in the colonies and on the campuses respectively, and the protesters finally achieved their goals a few years later. In 1776, British forces retreated from Massachusetts, and in 1973, American forces withdrew from Southeast Asia. I've used various methods to loosen lids on glass jars so they can be unscrewed. But lids on tin cans? They present a different difficulty. My Hamilton Beach electric can opener efficiently slices through the metal. However, after it has done its job, the now-separated lid is still sitting there atop the can. My fingers can't seem to coax it off. A magnet will attract it, but not strongly enough to break it free. 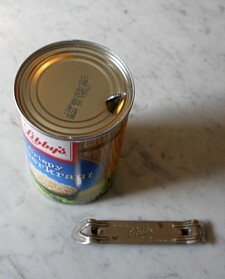 Recently, though, I tried using a church key, of the type once used to gain access to the contents of a can of beer. 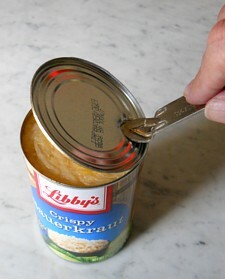 I discovered that if I punched a hole, I could then insert the tip of the opener into the hole, apply a little pressure to the underside of the lid, and lever it up. Yesterday afternoon, we denizens of the TV truck outside Mellon Arena in Pittsburgh were preparing for that evening's telecast of the Penguins hockey game against the New Jersey Devils. But at 2:00, for our own safety, we were herded inside the domed building. Another structure across the street was about to be destroyed. Making our way to the opposite side of the arena, we looked out through the windows at the former St. Francis Central Hospital. 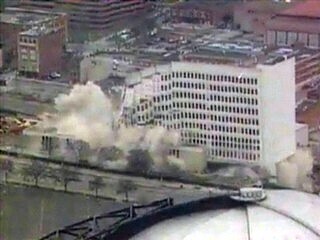 This now-empty building needed to come down to make way for the construction of a new arena for the Penguins. Fifteen of the hospital's columns had been prepared with 32-pound charges of C-4 explosive. I'd never seen an implosion in person, and here I was only 400 feet away. At 2:15, the charges were set off at half-second intervals. The bangs were very loud, shaking the windows of the arena; I took a step back. The effect was similar to the "aerial salutes" in the finale of a fireworks show. Had we been outside, the sound would have been deafening. However, aside from the noise, nothing seemed to be happening. Finally, as planned, the weakened building began to fall in on itself. In another ten seconds there was only rubble, hidden by a cloud of dust. The dust cleared, and we went back to work. 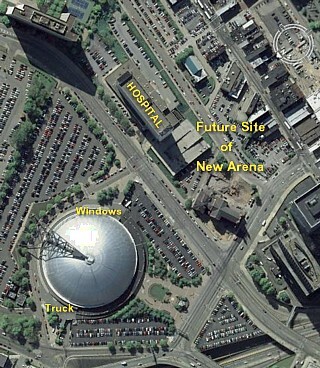 We've been promised that the new arena will be ready for the 2010-2011 season. Fui! We meet again, my Fictional Uninformed Interlocutor. How was the movie? Really? I read a rave review yesterday. So did I! The critic actually liked it! How could he, when I didn't? Isn't is possible for people to have an opinion that's different from yours? No! I'm right about this! The movie is terrible! There must be some sinister explanation. It's a conspiracy. The studio must have paid the guy for a favorable write-up. I don't think film critics can be bought, Fui. Of course they can! Why would anyone turn down a bribe? I have principles! I believe in good honest work. But I don't believe in just handing people money if they've done nothing to deserve it. Hmm. So does that mean you don't want to help out the less fortunate? If they need money, they should go out and work for it. I did. But some of them are sick, or disabled. I bet they're faking it. Or maybe they're women. A woman earns less, you know. She should stay home like a proper housewife. Or maybe they're minorities, or immigrants. Am I supposed to support those lazy criminals? Phooey, Fui! I'm afraid you lack empathy. You're selfish. While telecasting basketball at the University of Pittsburgh this season, we frequently had to show a graphic about the Panthers like 0 Field Goals in Last 8:42. What a shooting slump! And, of course, the visitors' resultant scoring run led to an insurmountable lead. But that's just Pitt, I thought. The Panthers never won after Christmas. 0 Wins in Last 19 Games inevitably cost the coach his job. Cold shooting sometimes affects even good teams, however. 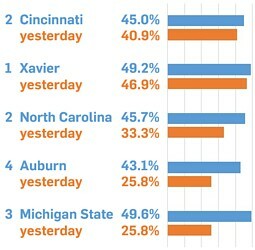 Yesterday in the NCAA men's tournament, five contenders were upset by lower-seeded opponents. In fact, all five losing favorites shot worse than their season averages, underperforming by an average of 12 percentage points. The lids were on the hoops. I'm more concerned with her first name. On special occasions, the First United Methodist Church in Richwood, Ohio, features instrumental duets on organ and piano. 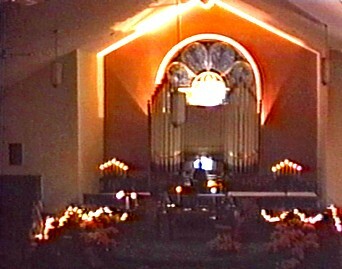 This image from a videotape shows Phyllis Rees at the organ (center) and Marge Gamble at the piano (lower left, in front of the flag) during the Christmas open house about five years ago. During the 1960s and 1970s, I was one of those keyboard players, often filling in on the organ during the summer. 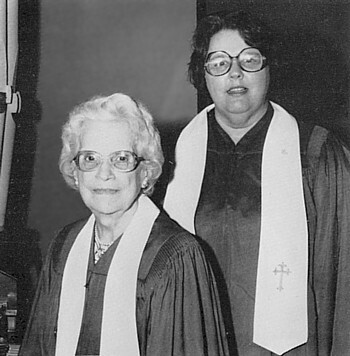 The regular organist at the time was Gladys Winter; she's on the left in this picture from the 1978 church directory. Gladys was succeeded by Patt Houk, who's on the right. I played the piano for several duets, particularly "The Holy City," with each of these organists. It's not an ideal venue for duets. The piano is only a spinet, and it must be tuned to match the pitch of the organ, which varies as the temperature changes with the seasons. 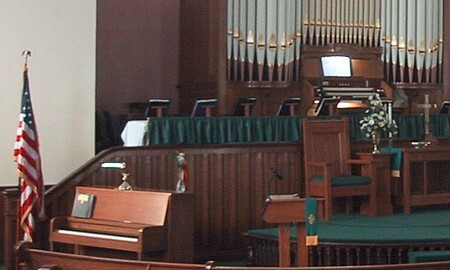 The piano is located on the floor beside the altar rail, while the organ bench is in an elevated position in the choir loft. The two musicians can't easily share visual cues. The organist faces away from everyone. If she turns around, she can see the pianist's face, but not the keyboard. The pianist can see the back of the organist's head, but the curtained front wall of the choir loft blocks any view of the organ keyboard and pedals. Nor can the musicians easily share audible cues. The organist sits close to the pipes; if she plays loudly, she can't hear the piano. And if she plays softly, the pianist can barely hear her. When I played the piano, I could detect when the organist changed from one chord to another, but repeated notes in the melody blended into each other. That meant that I couldn't hear the beats, only the measures. A duet, therefore, is an act of faith. One musician begins playing to set the tempo, the other joins in, and occasionally one will be able to hear the other well enough to re-synchronize. Just before the end of "The Holy City," there's a fermata , and as we held that dramatic chord Gladys and I had no way of communicating when to break it off and proceed to the conclusion. She finally suggested that we count a fifth beat in that measure, and we were able to stay together, more or less. Neither musician can actually hear the "mix," the balance between the two instruments. Both have to use their best judgment as to volume and take it on faith that their music sounds good to the people out in the congregation. It was usually about this time of year that we performed "The Holy City." Here's a link to an approximation of our performance (but I didn't do the piano glissandos). The fermata comes at the five-minute mark. Here's another link to a vocal performance. The words were written in 1892 by Frederick E. Weatherly (who would write "Danny Boy" 18 years later). If only the first verse and the last chorus are sung, it can be associated with the Christmas season, but the three verses actually allude to Palm Sunday, Good Friday, and chapter 21 of Revelation. Last night I lay a-sleeping. New earth there seem'd to be! The light of God was on its streets. And no one was denied! 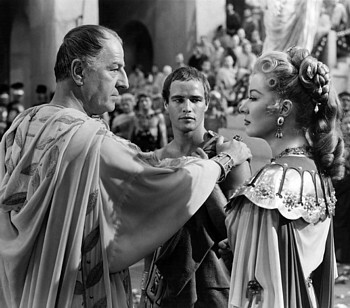 On this night 2,061 years ago  the eve of the Ides of March  frightening portents were seen in the streets of Rome. A lion calmly walked past the Capitol, a slave's left hand went up in flames, and so on. Why did Shakespeare choose to have his title character speak in the third person? Perhaps his cue came from Caesar's book Commentarii de Bello Gallico (parts of which I read in high school Latin class), where he narrated his Gallic War campaign that way. Caesar, on being informed of these things, cheered the minds of the Gauls with his words. Earlier, Xenophon had described his military career similarly in Greek. Leaders of great nations sometimes feel the urge to speak of themselves illeistically. The rabblement hooted, and clapped their chapped hands, and threw up their sweaty nightcaps.... Three or four wenches where I stood ... forgave him with all their hearts. 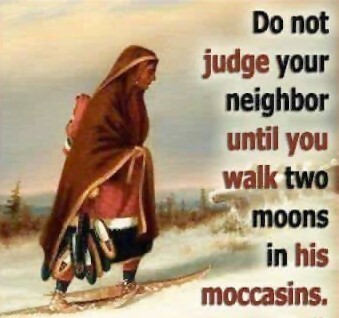 But there's no heed to be taken of them. If Caesar had stabbed their mothers they would have done no less. MARCH 12, 2018 DON'T WANNA HEAR IT! I consider myself reasonably well-informed, from my studies and additional reading over two disparate centuries. I'm proud to have a degree from a distinguished liberal-arts college. I think I've learned how to tell the difference between a scientific conclusion and a fairy tale. 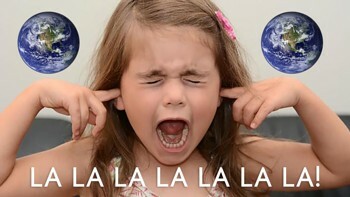 However, some folks close their ears to evidence. They want to go on believing their tales. They resent it when the intelligent, educated segment of our culture tries to give them facts instead. Resisting Anti-Intellectuals, my new article, looks at this problem. While revisiting my archives over the winter, I discovered some additional images and details from 44 years ago. In my very first month working at Cable TV-3 in Washington, Pennsylvania, I covered a beauty pageant in the role of a news reporter. That's the winner on the right, Do Do Gatalski. 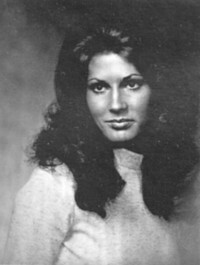 The story is in my new article, Miss Pennsylvania. 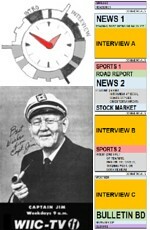 In my second month, I organized a six-hour fundraiser from our TV studio, including a clock and a captain. Not only that, I also reorganized the news and interview blocks for Greater Washington Today. Click here and then scroll down through April and May for those expanded narratives about the long-ago year of 1974. I may watch some of my selected shows live. If so, the recording becomes superfluous and can be deleted. More often, however, I fall asleep in front of the TV and let the DVR do the watching for me. Later, whenever it's convenient, I can catch up with what I missed. Of course, another problem was that the awards show was much too long. There's no way I could stay awake for the whole thing. MARCH 6, 2018 I'LL TAKE YOU TO BURN! On Wednesday mornings during my last semester in college, I had a disk jockey shift on our campus radio station. When I was behind the microphone, I looked nothing like the gentleman on the right. 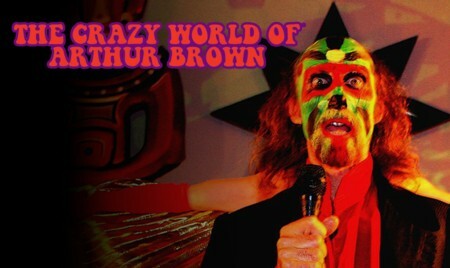 However, I did oversleep one morning, and Mr. Brown made a guest appearance to utter a dire threat. The incident is part of this month's 100 Moons article. 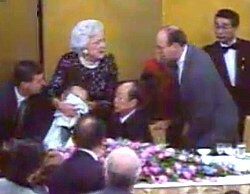 On Wednesday, January 8, 1992, the President of the United States, George H. W. Bush, was on the other side of the world. He was the guest at a state dinner in Tokyo. When I arose that morning, I learned that during the dinner the President had rather embarrassingly vomited and fainted. But the First Lady had jumped to his aid, he had received medical attention, and he was apparently all right except for a touch of the flu. I left the TV tuned to Headline News in case there were any further developments. Nowadays, of course, we rely on the Internet for that. And today's all-news channels often tell us only one story, all the time, over and over from every angle for hours on end. 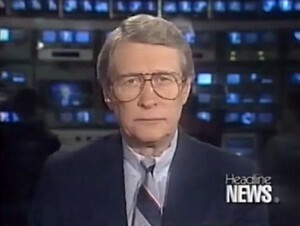 Don Harrison was anchoring Headline News that morning. At 9:45, he may have been coming out of a commercial break before introducing the latest from Wall Street. My goodness, I thought. A Presidential tragedy? Headline News must have been mere seconds away from erroneously reporting his death! The unconfirmed report turned out to be a hoax. An Idaho man had phoned CNN pretending to be the President's physician and saying that Bush had died. If the report had turned out to be true, at least Don's hint of some rather tragic news would have allowed his network to claim they were the first to learn of the scoop, but I'm not sure they would have wanted to make that boast. That afternoon, preparing with my colleagues for the Syracuse at Pitt basketball telecast, I told them about the historic almost-moment in broadcast journalism I had witnessed. The situation was still ripe for parody two decades later. Half a century ago, I obtained an actual license to broadcast  third class. After St. Patrick's day, I broadcast actual election returns  for Student Senate. And I applied for head broadcaster  at our actual ten-watt FM powerhouse. Click here for my latest installment in the 14-month series recalling my life 50 years ago. I'll even show you how we made monochromatic sodium fringes!